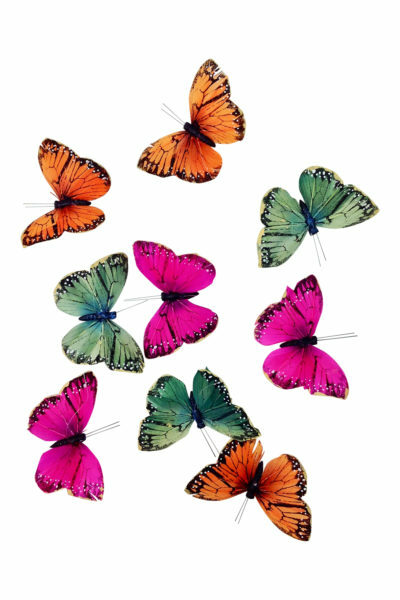 These colorful butterflies are handmade of natural feathers that have been cut into butterfly shapes, painted cool colors and hand decorated with interesting details. 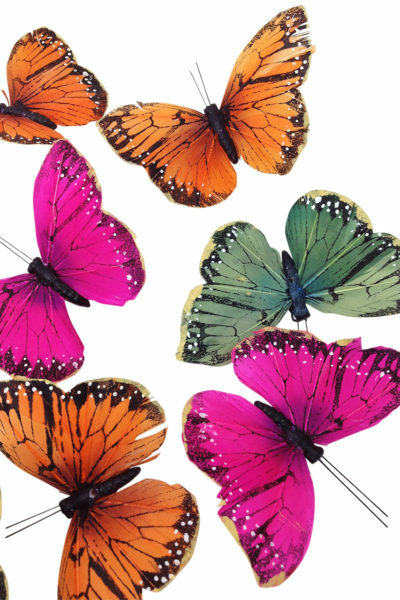 Each butterfly is then strung together on a clear nylon line to form a garland of sorts that can be hung from your ceiling, doorway or window. This strand when hung, is around 6 feet long. 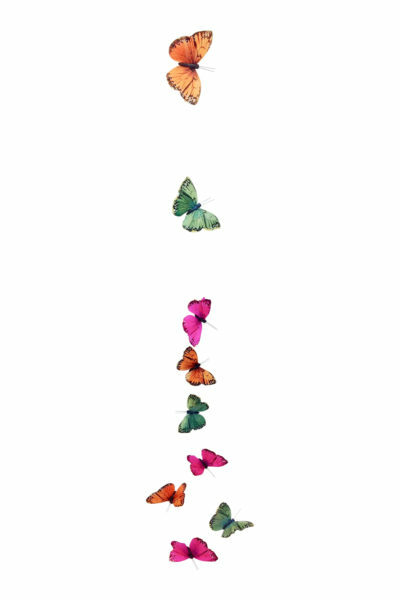 Light as a feather, or shall we say light as a butterfly. 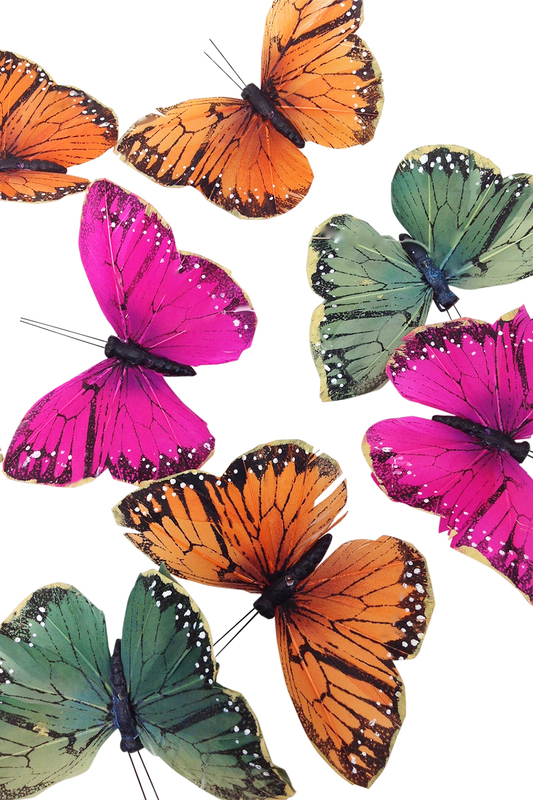 Measurements: set includes 9 butterflies, each are 4 1/2” inches wide x 2 1/2” inches tall.